Dogs are a part of our families, so of course many of us want to take them along on vacations. However, few things are more stressful for dogs than flying, especially if they have to be separated from their owners and fly in the cargo hold. Should you be flying with your dog? Some feel you should only be flying with your dog if it is absolutely necessary, e.g. if you are moving between countries. Others fly with their dogs all the time. There is no question about it, there is some risk involved in transporting dogs in the cargo area. However, vast majority of dogs does so without any serious long-term consequences. 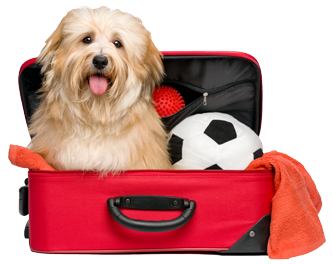 It is up to each dog owner to weigh the pros and cons of dog airline travel, and this article helps you to prepare your dog for flying if you decide to take him along. There are though few circumstances where flying with a dog is not recommended at all. You should never be flying with your dog if he is sick or injured, or pregnant. You may want to avoid flying with your dog if he suffers from motion sickness or doesn't handle changes in his routine / environment very well. In those cases, it may be best for all involved to find a good reliable dog sitter. There are things you can do to reduce the stress of flying for both you and your dog. It is vital that all paperwork is as required. If the paperwork is not up to scratch, you will not be flying with your dog. It is a simple as that. So research the rules and policies for travelling with your dog well in advance. Start by checking your airline rules regarding flying with a dog, including what documentation is required. Most airlines require health certificate from a Vet stating that your dog is fit for flying and that he has had all the required vaccinations. Make sure you know the timeframe involved, as most airlines require the dog’s health certificate to be no more than 10 days old. If you are flying internationally, check the rules at your destination as well. For example, are there quarantine laws, does your dog need any vaccinations, what papers are required, etc. The rules and regulations change frequently, so contact the foreign office of the country you are traveling to for the latest information. Don't forget to check the rules where you are staying. Does your hotel accept dogs, and how dog friendly is your destination in general. Some hotels may require Vet health certificate before accepting your dog. Take a copy of all the documents and keep the originals somewhere safe with your own travel documents. Most airlines allow restricted number of dogs on any flight so you should book your flight well in advance. Book non-stop direct flight whenever possible. Weekdays tend to be less busy than weekends and travelling off peak season is also ideal as the airports are then less hectic. If your dog has to be in the cargo hold, then try to avoid the extreme hot and cold temperatures, i.e. fly morning or evening during the summer months, but midday during the winter months. Click on the photo to download and print your FREE travel packing list for dogs. It is of course great if you can get your dog accustomed to the airport environment beforehand, i.e. take him to the airport before you fly to get him familiar with the noises and smells. This may though not always be practical or possible. Most airports do not allow dogs that are not flying on the premises (except guide dogs of course). You should check in earlier than when travelling on your own, i.e. at least one hour before. This should allow you enough time if any problems arise, and give your dog time to get used to the hush and bush of the airport. You are likely to have to check-in at the counter, i.e. not be able to use the self-service check-in. It is usually recommended to feed your dog 3 - 4 hours before flying, as anxious dogs, or dogs suffering from travel sickness, are prone to vomiting. It is however important to make sure your dog has access to fresh water right up to the time of travel. Some countries require you to sign a waiver stating that you have given your dog food and water within in certain timeframe of flying. Exercise your dog vigorously before heading to the airport. It will make him tired and therefore more likely to relax. Exercise also increases the natural serotonin levels in the body, but it acts as sedative. Also, make sure he has done his business as normal. Your dog will be required to be in a dog travel crate during the flight. The first thing to do is to make sure your travel dog crate meets the airline standards. If your dog is small enough to be allowed in the cabin, then soft-sided dog carrier bags that fit under the seat are recommended. For dogs travelling in the cargo hold, hard-sided dog travel crates are required. It must be big enough for the dog to stand, turn around, and lie down in comfortably. If your dog is not used to crates, then you need to get him accustomed to his travel crate prior to flying. Make it his safe and happy place, by rewarding him handsomely for staying in his crate. Make sure your dog travel crate has all the necessary contact details on it, i.e. your dog's name, your name, home and destination address, and contact numbers. It is good idea to carry recent photograph of your dog with you when travelling. It would be valuable in the unlikely event of your dog escaping en route. Dogs should always have access to fresh water. It can be bit tricky when flying as spilling is common problem. Water drip containers are excellent for dog travel crates, as they can be hung in the crate and won't spill. However, you have to teach your dog first to drink from drip water bottle first. It will take away lot of the stress of flying for your dog if you can have him in the cabin with you. This is usually only allowed for dogs that are small enough to fit comfortably in a dog travel carrier that can be stowed under the seat in front of you. Be considerate of those around you, try to keep your dog occupied with toys or (non-smelly) treats. If your dog is flying in the cargo hold, don’t make a big scene when leaving him. Stay calm and upbeat, like this is no big deal. Make sure your dog has something familiar with him in his crate, e.g. worn t-shirt with your smell. Also, make sure he has something to occupy and relax him, like new exciting chew toy. Be aware of leaving anything that could be hazardous for him, e.g. choke hazards. Talk to the flight attendants when you are boarding. If you are lucky, you will find some dog owners among them. Tell them that you have a dog in the cargo hold, ask them to check the temperature in the hold with the pilots (it has happened that dogs have died due to extreme cold or heat in the cargo hold). If you are in a country where tipping is common or appreciated, then you may want to tip the flight attendants and the baggage handler. Giving your dog anti-anxiety medication before his flight may sound like a good idea, but is it? Many experts now recommend against giving dog's tranquilizers or sedatives when traveling by air as it can create respiratory and cardiovascular problems as the dog is exposed to increased altitude pressures. Short faced dogs, like pugs, bulldogs, boxers, pekingese, chihuahua, shih tzu, are especially prone to respiratory distress. Anxiety drugs can also alter the dog's natural ability to balance and maintain equilibrium (causing hazard risk when the dog travel crate is moved). 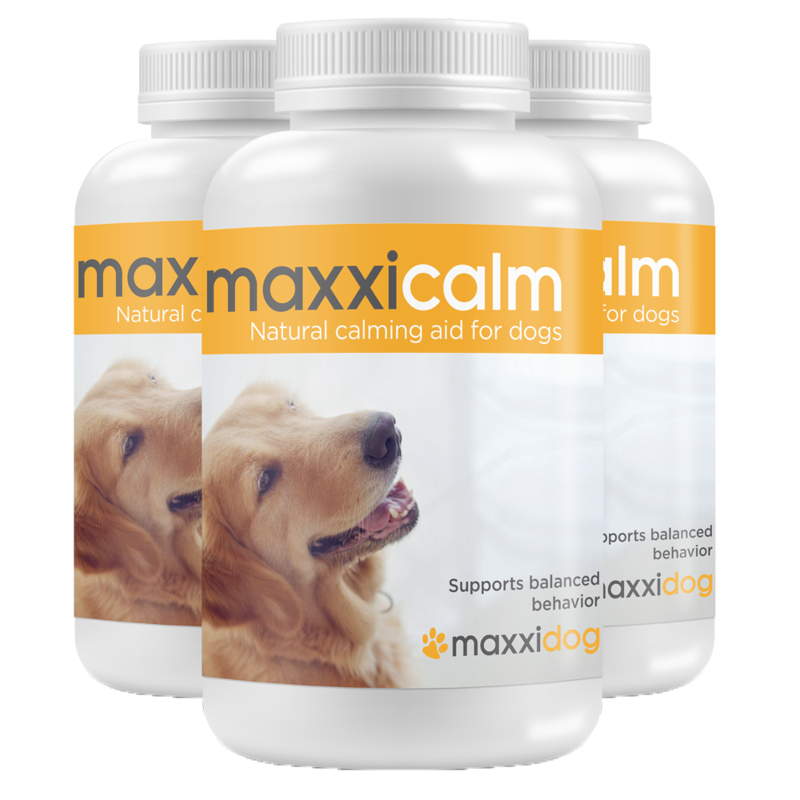 Natural calming aids, like maxxicalm, do not have the same side effects, but can help your dog to relax more during the flight. They have calming effect by inhibiting the release of adrenaline and increasing the dopamine levels. For the best results, you should start using calming aid for dogs few weeks prior to flying with your dog. If you are concerned about your dog anxiety level during the flight, then you may want to discuss this option with your Vet. If your dog is travelling in the cargo hold, go and get him as soon as you land, i.e. before you pick up your suitcases. He is likely to be at the outsize baggage (skis, golf clubs) area. As soon as you can, release your dog from his crate and take him for a nice walk and bathroom break. Then settle in at your destination and start exploring together.